We do not need to even discuss how common heart disorders have become today. Blame it on our diet or lifestyle heart diseases contribute significantly to the mortality rate across the world today. What is more concerning is that it is no more an ‘old age’ disease. The more young and middle-aged population is suffering from heart disease today than ever before in history. Heart diseases or cardiovascular diseases are a very broad term for a number of conditions that directly or indirectly affect heart health. In fact, heart diseases are the leading cause of death globally. Coronary heart disease is the most common condition where the blood vessels connected with the heart are damaged. Atherosclerosis is the build of plaque in blood vessels that obstructs blood flow. Heart attack or myocardial infarction is when blood flow to the heart is blocked by clots. Strokes are conditions when blood vessels providing blood to the brain are blocked. Arrhythmia is a condition where the rhythm of the heart is abnormal. Risk factors that lead to heart diseases involve obesity, lack of exercise, unhealthy diet, use of tobacco, alcohol as well as stress-related factors. Preventing cardiovascular diseases is the first line of defence which would translate as a change in diet as well as lifestyle. In those suffering from heart conditions medications are provided to treat cholesterol, lower blood pressure, prevent clot formation. In certain conditions, surgical procedures may be required. These procedures not only involve risks but also lead to a heavy burden of costs in healthcare. Wouldn’t it be nice if there is just only one compound that does all these things: lowers cholesterol, reduces blood pressure, protects heart and blood vessels, helps in weight loss, prevent clot formation, etc. There is one such compound and its name is curcumin. Perhaps no one told you that kitchen spice turmeric and one of its bioactive curcumin can help prevent and treat and manage CVD. 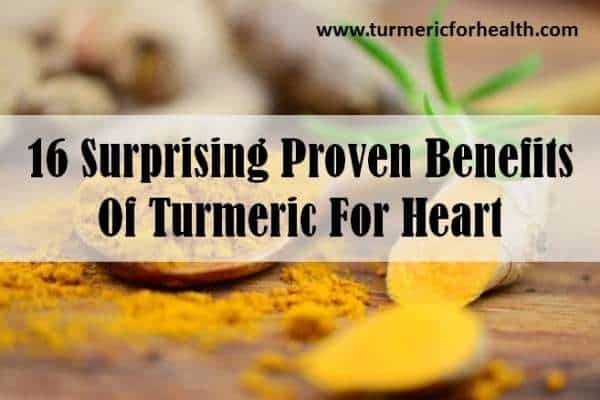 Over 200 research studies have investigated the therapeutic efficacy of turmeric and curcumin in various heart conditions. Not only does turmeric protect the heart but it also combats various metabolic conditions that could serve as a risk factor to the development of heart diseases. Curcumin has cardioprotective action- its pharmacological properties help in protecting the heart and also benefits in various heart conditions. These pharmacological properties involve antioxidant action, anti-inflammatory action, antiplatelet activity, etc. Cardiac hypertrophy is a condition in which the heart muscle thickens and reduces the size of heart chambers. Animal studies show that curcumin can benefit cardiac hypertrophy by affecting genetic expressions. Cardiac arrhythmia is an abnormal rhythm of the heart. A study published in the International Journal of Cardiology, 2009 suggests that curcumin’s anti-inflammatory action and ability to affect calcium homeostasis can benefit in and prevent arrhythmia. Calcium homeostasis is the balance of calcium levels in the body and any disturbance in this balance can affect cardiac function. Congenital heart disease is a condition where there are defects in the heart at birth. Wang et.al have studied the therapeutic effect on congenital heart disease. Alcohol consumption during pregnancy causes defects in heart development. In this study, alcohol exposure was found to increase the expression of heart development-related genes. The study investigated whether curcumin could attenuate this overexpression of genes and offer cardioprotection. Curcumin was found to reverse this overexpression of genes caused by alcohol. These findings suggested that curcumin can help prevent alcohol-induced congenital heart disease. Ischemia-reperfusion is a condition where the tissues are damaged due to lack of blood supply and when blood supply returns. Experimental studies suggest that curcumin, as well as turmeric, protect from such injuries. A recent study published in Cardiology in the Young, 2016 demonstrated that curcumin supplementation at 45mg/day for 14 days was found to reduce ischemic injury and inflammation in patients who had undergone heart surgery. Chemotherapeutic drugs do cause adverse effects, one of them being cardiotoxicity. The toxic effects of chemotherapeutic drugs weaken heart function. Animal studies suggest that curcumin’s antioxidant and cardioprotective action can protect from cardiotoxicity. Curcumin found in turmeric protects heart. Research confirms its role in various heart conditions like congenital heart disease, cardiac arrhythmia, cardiac hypertrophy, ischemia-reperfusion injury, chemotherapy induced cardiotoxicity etc. Turmeric and curcumin have natural anti-inflammatory property. In inflammatory conditions like arthritis, curcumin is found to counteract inflammation as effectively as non-steroidal anti-inflammatory drugs. Curcumin acts on major proteins that regulate the inflammatory process like Nuclear factor kappa B. It reduces the production of inflammatory cytokines and also inhibits their action. It prevents the migration of immune cells to the site of inflammation. This anti-inflammatory effect of curcumin and turmeric is beneficial in various heart conditions like myocarditis, cardiac fibrosis, cardiotoxicity, etc. Turmeric’s anti-inflammatory action benefits in heart health and prevention of various heart diseases such as myocarditis, cardiac fibrosis, atherosclerosis etc. One of the prime reasons why antioxidants are touted to be beneficial for health is because they are heart friendly agents. There is quite a bit of debate on whether really the intake of antioxidant-rich diet reduces cardiovascular risk. Apart from improving the antioxidant defense, dietary antioxidants can help in reducing inflammation, lowering cholesterol which in turn benefit heart health and can reduce the risk of heart diseases. 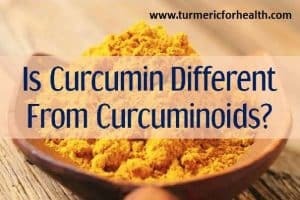 Curcumin and curcuminoids are strong antioxidants and their antioxidant activity is comparable to that of vitamin C and E.
Research shows that curcumin’s antioxidant action can protect from obesity-induced cardiac surgery, cardiotoxicity, atherosclerosis, diabetes-related heart condition, and various other heart conditions. Turmeric is rich in antioxidants, primarily curcumin and curcuminoids which help fight and prevent heart diseases. Curcumin is cardioprotective in nature. Curcumin is found to act on the genes that affect the cardiac repair and cardiac function after a heart attack. Curcumin is found to improve the antioxidant profile, reduces inflammation and also regulates the repair of cells found in heart muscles after a heart attack. Researchers suggest that dietary curcumin is beneficial for those recovering from a heart attack as it facilitates proper cardiac repair. A study published in the American Journal of Cardiology, 2012 examined the effect of curcuminoid therapy in those undergoing specific heart surgery. The idea was to see whether curcumin provides sufficient cardioprotection after the surgery as this surgery is associated with poor outcomes and the current treatment options to protect the heart are limited. 121 patients enrolled in this study. They received 4g of curcuminoids or placebo per day for 3 days prior to surgery and continued till 5 days after the surgery. It was found that the incidence of heart attack was 30% in the placebo group while it was only 13.1% in curcuminoids group. Improvement in antioxidant and inflammatory status was also observed. Curcumin offers cardioprotection that can help prevent heart attack. Dietary curcumin is found to be beneficial in promoting heart repair in those who have suffered from heart attack. Atherosclerosis is characterized by a build-up of plaque in blood vessels due to elevated levels of cholesterol and fats. This constricts blood vessel thereby affecting blood flow and blood pressure. A study published in Atherosclerosis, 2014 demonstrates that curcumin can attenuate diet-induced atherosclerosis. It ameliorates dyslipidemia (abnormal lipid/fat levels in the blood), reduces expression of inflammatory enzymes, prevents the formation of fatty streaks (precursors to plaque build up in blood vessels) and also protects liver function. However these effects are found to be dose dependent, researchers suggest that a medium dose of curcumin in the diet is more effective than high dose curcumin in atherosclerosis. Curcumin acts on various genetic expression, liver function as well as raises antioxidant defenses in order to prevent atherosclerosis. A study published in The Journal of Nutritional Biochemistry,2014 investigated the effect of curcumin in type 2 diabetes patient who was at high risk of developing atherosclerosis. The study lasted for 6 months. Curcumin was found to regulate hormones linked with fat metabolism and it also reduced pulse wave velocity (a parameter that indicates the stiffness of arteries or how blocked they are in terms of obstructed blood flow). Other changes observed were the reduction in body fat, improvement in insulin activity, reduced blood lipid levels etc. Curcumin therapy successfully improved metabolic health thereby preventing atherosclerosis in type 2 diabetes. Dietary intake of garlic and turmeric is found to have an anti-atherosclerotic effect. Turmeric contains curcumin which can help prevent atherosclerosis as an antioxidant and by regulating cholesterol levels and liver function. It helps improve overall metabolic health in order to prevent atherosclerosis. Myocarditis is inflammation of the heart muscle. Turmeric’s anti-inflammatory properties can help in myocarditis. A study published in the Journal of Cardiovascular Pharmacology and Therapeutics, 2013 demonstrated curcumin’s therapeutic efficacy in viral myocarditis. It was found that curcumin brought down levels of inflammatory enzymes by acting on key proteins involved in inflammation. Mito et.al have proven via an animal study that curcumin counteracts inflammation in autoimmune myocarditis. Other studies point that curcumin’s immunomodulatory (ability to regulate immune function) and antioxidant action protect heart function in autoimmune myocarditis. These properties can help in protecting heart function and preventing the progress of myocarditis, thus making curcumin a novel therapy in myocarditis. Various pharmacological properties of turmeric and curcumin such as anti-inflammatory, antioxidant and anti-microbial action benefit in treatment of myocarditis. Curcumin’s immunomodulatory action can help control inflammation in autoimmune myocarditis. Vascular function or endothelial function talks about the health of your blood vessels. This parameter indicates the balance between the substances that support constriction and relaxation of blood vessels thereby affecting blood flow and blood pressure. Endothelial dysfunction is when this state is imbalanced. Curcumin is found to protect from endothelial dysfunction caused by drug induced toxicity. Nakayama et.al have demonstrated that a single consumption of curry meal containing turmeric and other spices improved endothelial function in healthy individuals. Curry meal increased flow-mediated dilation (FMD)- an indicator of improved blood flow and better endothelial function. A recent study published in the Journal of Nutrition and Metabolism, 2016 demonstrated that supplementation of 200mg curcumin every day for 8 weeks brings about a significant increase in FMD. 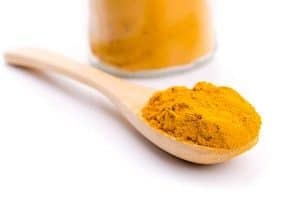 Based on the results of this clinical trial researchers suggested that simple oral supplementation of curcumin can improve cardiovascular health. A really interesting study published in Nutrition Research, 2012 demonstrated that oral curcumin intake is as efficacious as moderate aerobic exercise in improving endothelial function in postmenopausal women. Endothelial dysfunction indicates impaired health of blood vessels. Simple curcumin supplementation or dietary turmeric is found to improve vascular function in as little as single consumption as well as over a period of 2-3 months. Thrombosis or clot formation can present serious health complications. This is where curcumin’s anti-platelet property can help. A study published in Thrombosis Research, 1995 reveals that curcumin has anti-thrombotic action. Further research reveals that curcumin is as effective as aspirin (an anticoagulant or blood thinner) in treating thrombosis. 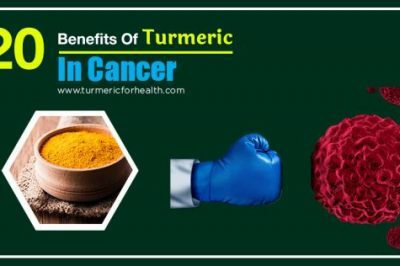 Not only curcumin but turmeric oil is also found to anti-platelet activity and is hence considered as a safe and effective agent in protecting from thrombosis. However, these findings need to be confirmed via human studies. Curcumin and turmeric’s anti-platelet action may help maintain anti-coagulant status and benefit in thrombosis. Many heart diseases are associated with fibrosis. Cardiac fibrosis is scarring of the cardiac tissue and leading to thickening of the tissue. This thickening leads to the reduction of heart chambers and thus causing arrhythmia. A recent study published in Drug Design, Developmental and Therapy, 2016 shows that curcumin exerts anti-fibrotic action in cardiac fibrosis. It acts via SIRT1 gene, a gene that is famous for its anti-aging action but also plays a significant role in fibrosis. Curcumin may also benefit in cardiac fibrosis by reducing collagen synthesis and facilitating collagen breakdown. 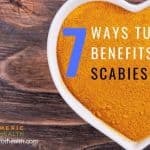 It also inhibits the activity of enzymes that initiate scarring of the cardiac tissue. In their animal study, Meng et.al have proven that curcumin attenuates cardiac fibrosis occurring as a result of hypertension or high blood pressure. Curcumin is natural anti-fibrotic agent. Research proves that curcumin can be a novel therapeutic agent in cardiac fibrosis. Coronary arteries are those that are directly linked with the heart via the aorta. Coronary artery disease is when plaque builds up in these arteries. This is one of the most common heart diseases. As mentioned previously, curcumin has anti-atherosclerotic activity – it prevents the build-up of plaque. A study was conducted wherein patients with coronary artery disease were treated with 500mg curcumin 4 times a day for 2 months. Curcumin treatment brought about a decrease in blood sugar levels, cholesterol levels, and triglyceride levels. However, no significant change in inflammatory parameters was seen. Curcumin’s anti-atherosclerotic activity and anti-platelet property benefits in coronary artery disease. Those who have read our post 4 ways Turmeric benefits in Hypertension, must be aware of how turmeric can lower high blood pressure. Curcumin lower blood pressure by acting on angiotensin receptors; angiotensin being one of the hormones that regulate blood pressure and kidney function. Not only curcumin but even turmeric oil fraction possesses this anti-hypertensive property. Curcumin derivatives have been identified with vasorelaxant properties- they help blood vessels relax for better blood flow and reduced blood pressure. Nanocurcumin has proven anti-hypertensive property and this activity is comparable to catopril, a prescription drug used to treat blood pressure. Turmeric helps to lower blood pressure by acting on various enzymes that regulate and control blood pressure levels. It also helps alleviate hypertension by acting on other aspects of metabolic health that could serve as a risk factor for developing high blood pressure. Curcumin exerts hypocholesterolemic effect- it lowers cholesterol levels. There are many mechanisms involved in this activity, for example, curcumin acts on very genes involved in fat metabolism in order to lower cholesterol level. A study was conducted to assess the effect of curcumin on lipid levels in patients suffering from the acute coronary syndrome. 75 patients participated in this study. A dose dependent change in lipid and cholesterol level was observed with curcumin therapy. Low dose curcumin brought about a better reduction. Low dose curcumin brought about an increase in HDL cholesterol. Researchers concluded that low dose cholesterol is efficacious in reducing cholesterol levels and LDL levels. Curcumin helps lower cholesterol levels and this protects heart and vascular health by preventing atherosclerosis, hyperlipidemia etc. Stroke is a condition when the blood flow to the brain is hampered. Stroke is not a cardiovascular disease; it is a cerebrovascular disease- a disease where blood vessels connected with the brain is affected. Ischemic stroke is when a blood clot lodged in blood vessel cuts down blood flow to stroke and Hemorrhagic stroke is when a blood vessel ruptures and bleeds into the brain. 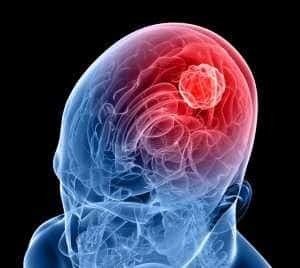 Curcumin’s ability to affect gene expression is found to have therapeutic relevance in stroke. It is found to protect from stroke and stimulate the growth of brain cells thus offering neuroprotection. Additionally curcumin’s neuroprotective property protects from brain injury and stimulates repair in case of stroke-like conditions. Curcumin can help protect from stroke by virtue of its anti-platelet and antioxidant action. It also helps protect brain function in case of stroke. Stents are expandable tubes placed in blood vessels in narrowed arteries to improve blood flow. Drug-eluting stents are those that slowly release drugs in order to prevent blockage. Rapamycin is an immunosuppressive drug that helps prevent restenosis or repeated occurrence of narrowing of arteries. Various studies are now exploring and proving that curcumin can be involved as one of the drugs in drug-eluting stents. Not only does it prevent the proliferation of blood vessel cells (which otherwise cause narrowing of arteries) but also helps maintain anti-coagulant status. It also protects the heart cells from rapamycin-induced toxicity. Stents are tubes placed in the narrowed blood vessels to improve blood flow. Ongoing research suggests that curcumin can be a part of drug eluting stents thereby promoting anti-coagulant status and preventing arteries from narrowing down. Metabolic health is very intricately linked with heart health. Liver function, cholesterol levels as well as body weight affect heart function. Metabolic syndrome is a broad term for a number of health conditions like high cholesterol level, high blood pressure, obesity, etc. Turmeric and Nigella sativa seed supplementation for 4 weeks is found to improve all parameters associated with metabolic syndrome. Results of a clinical trial published in Phytotherapy Research, 2016 demonstrated that curcumin supplementation brought a significant reduction in liver fat and brought about a 78.9% improvement in the disease. Turmeric and curcumin’s multiple benefits and ability to lower blood sugar levels is found to benefit in diabetes and protect against diabetes-induced cardiac risk. Curcumin treats various aspects of metabolic health and helps ameliorate various conditions like metabolic syndrome, diabetes and fatty liver disease which otherwise would pose a risk for heart diseases. Khurana et.al have identified curcumin as one of the plant polyphenols that can help protect the aging heart. Santos-Parker et.al demonstrated that high dose curcumin supplementation for 12 weeks improved endothelial function in elderly and middle-aged individuals. Curcumin’s antioxidant activity was responsible for this action. The combination of endurance exercise and curcumin intake is found to benefit and improve vascular function in postmenopausal women. Curcumin’s antioxidant and cardioprotective property benefits and supports heart health in aging. Simply including turmeric in your diet can help in the prevention of heart diseases. You can sprinkle turmeric over your salads or soups or use it while preparing curries, rice, etc. Curcumin in turmeric is poorly absorbed in the body. Therefore it is advised to take it with black pepper and fats to increase the absorption. Golden Paste effectively combines these 3 ingredients. 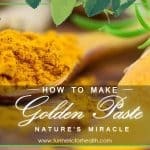 You can make Golden Paste from turmeric powder or you can make Golden Paste from fresh roots as well. 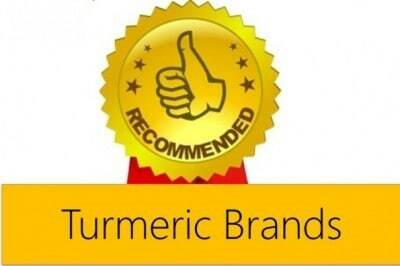 Check our recommendations for best Organic Turmeric Brands. To avoid any gastric side effects, it is advised to start with small doses say ¼-1/2 tsp a day for a week. If no side effects are observed increase gradually every week. The recommended dose is 1 tsp 2-3 times a day (precisely 1 tsp 3 times a day). 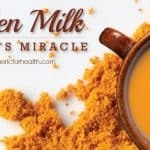 Other delicious ways of taking turmeric are Turmeric Milk and Turmeric Tea. If opting for supplements please consult a health practitioner prior. 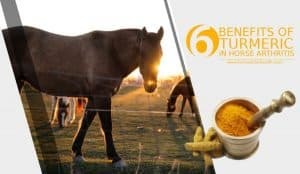 One of the important precautions in relation to cardiovascular diseases is that turmeric has anti-platelet property proven by animal studies. 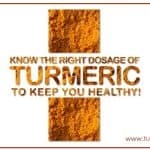 Though minimal amounts of dietary turmeric should not pose any problem, it is advisable to consult a health practitioner with regards to this, especially when you are already taking blood thinners. Also for this anti-platelet property of turmeric, it is advised to discontinue turmeric two weeks prior to surgery in order to avoid bleeding risks. Curcumin in turmeric does interfere in drug metabolism. Therefore it is advised to avoid taking curcumin supplements concomitantly with other medications. 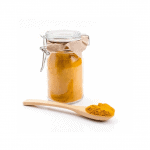 Consult a health practitioner prior to taking turmeric supplements. An animal model of autoimmune myocarditis was developed. They were treated with curcumin or placebo for 6 weeks. Parameters pertaining to heart function and inflammatory agents were monitored. Hypertrophy or enlargement of heart was observed in the group that was treated with placebo while curcumin decreased such enlargement. Curcumin prevented infiltration of heart tissue by inflammatory cells. Heart dysfunction was observed in those treated with placebo while curcumin ameliorated such changes and restored heart function. Level of inflammatory agents such as Interleukin 1, Tumor necrosis factor and Nuclear factor kappa B was increased in the group that didn’t receive curcumin and curcumin administration significantly decreased the level of this inflammation causing agents. Curcumin was also found to increase the level of an anti-inflammatory agent such as Interleukin-10. Additionally, curcumin also reduced infiltration of immune cells-mast cells and reduced undesirable immunological reactions. 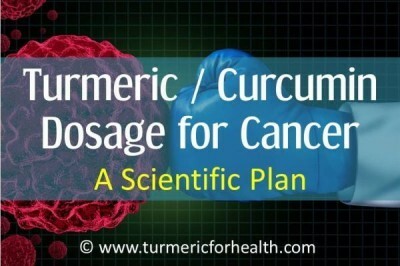 Curcumin is therapeutic in autoimmune diseases. In this study, curcumin attenuated migration of mast cells- a type of immune cells to heart tissue and prevented them from producing inflammatory enzymes. Curcumin also has potent anti-inflammatory activity. IL-10 is an anti-inflammatory agent and IL-10 gene therapy is found to protect against autoimmune myocarditis. Similarly, curcumin also raised the concentration of IL-10 in this case. GATA4 is a protein that is essential for the development of heart tissue and is considered as a marker or parameter to identify possibility of heart disease. It is quite possible that curcumin attenuated heart inflammation by regulating the activity of GATA-4. The study showed that curcumin reduced the level of GATA 4 but not below normal levels. Researchers concluded that the therapeutic potential of curcumin- a natural dietary compound should be considered for the treatment of autoimmune myocarditis. Turmeric in the diet is great for heart health. The study included 32 postmenopausal women and lasted for 8 weeks. They were divided into 3 groups: control, exercise and curcumin groups. Women in the curcumin group were given 150 mg of turmeric extract per day orally while the rest of their habits remained the same. On the other hand, women in the exercise group were given aerobic exercise training for more than 3 days per week. After 8 weeks, the effect on flow-mediated arterial dilation, which is an indicator of arterial elasticity and therefore, endothelial function, was measured. The scientists found that flow-mediated dilation remarkably increased in both curcumin and exercise groups to the same extent and no effect was produced on the control group. Another research conducted by the same group of scientists and published in the American Journal of Hypertension explored the efficacy of curcumin combined with regular exercise in reducing left ventricular (LV) afterload on postmenopausal women, suggesting that curcumin-exercise combo can be more beneficial than monotherapy with either intervention. In a nutshell, we can say that curcumin ingestion is as effective as regular exercise in preventing age-related decline in endothelial function and eventually helps to ward off complicated cardiovascular diseases like atherosclerosis. Though the effects of both exercise and curcumin were found to be similar, it is obvious that we cannot replace the former with the latter. However, it is sure that a combination of the two can definitely produce extraordinary results in improving endothelial function. Studies suggest that Curcumin, a natural plant-based polyphenolic compound obtained from Turmeric, suppresses inflammation and cardiomyocytic apoptosis caused after Cardiac ischemia/ reperfusion. Following this, a research was conducted to test the efficacy of curcumin in forestalling Myocardial Infarction post-Coronary Artery Bypass Grafting (CABG). We discuss that study here. The study noted that”Adequate myocardial protection during CABG is crucial in preventing myocardial injury after surgery”. The study was a random clinical trial comprising of 121 patients going through Coronary Artery Bypass Grafting. Some of them were given placebo treatment while the rest received curcumin treatment, the dosage being 4g/day. The treatment started 3 days before surgery and ended after 5 days of the same. 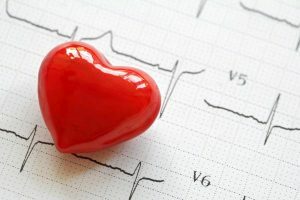 The scientists noted the percentage of occurrence of Myocardial infarction in both the groups along with few secondary parameters likes levels of C-reactive protein, Plasma Malondialdehyde as well as levels of N-terminal pro–B-type natriuretic peptide. It was observed that the chances of Myocardial Infarction decreased more in the curcumin-treated group (13.1%) as compared to the placebo group (30.0%). Comparison of secondary markers also produced results in favor of curcumin treatment indicating lesser inflammation, lipid peroxides and ventricular dysfunction in the curcumin group than the placebo group. The study indicated that “curcuminoids decreased the incidence of in-hospital heart attacks after CABG significantly”. This is good news. While the results were positive, the study also mentions that more work is the direction is required using larger / extensive studies in this direction. Heart diseases are preventable simply by changing diet and lifestyle. The inclusion of heart-friendly spices like garlic and turmeric can help improve heart health and also aid in protecting from and preventing heart disease. 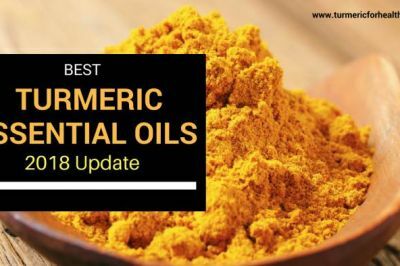 Turmeric aids in protecting heart health by improving vascular function, lowering cholesterol, regulating blood pressure levels, facilitating cardiac repair. Apart from including turmeric in diet, one can also take it therapeutically for treating and managing heart conditions. I value your informational article. I am 55 years old and a stroke survivor. I have incorporated Turmeric into my diet. Respectfully, I would suggest that you edit your articles for spelling and incorrect wording. Thanks for good guidance Please advice if I am taking medicines for like asprin,clopidogrel & rosuvstatin etc for heart decease then termeric is OK ? While turmeric is great for heart health, it also has anti-platelet action which is also beneficial for heart and vascular health. 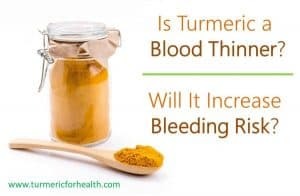 But if you are already taking blood thinners, then theoretically turmeric may increase the risk of bleeding. You can consider including turmeric in your diet. But since you are already taking aspirin and clopidogrel, avoid turmeric supplements or consult your doctor about the same. A very interesting and informative email. Thoroughly enjoyed reading it. Just one question. 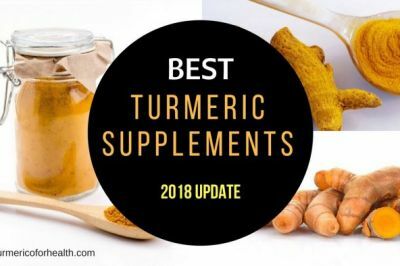 Can one take Turmeric supplements as well as Circumin? I also take Turmeric milk or Golden paste. I suffer from high blood pressure and raised Cholesterol levels. Am I over doing it? Will be grateful for your advice on this. Hi. Yes you can take turmeric/curcumin supplements in addition to dietary turmeric depending on how severe the health condition is. Mostly turmeric milk and golden paste should benefit in high BP and elevated cholesterol levels; within a month or so should see benefits. 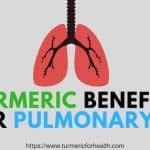 If you don’t see any benefits at that dose of dietary turmeric or if you have complications or health conditions other than elevated BP and cholesterol, then it would be better if you switch to turmeric supplements. When switching to supplements you can continue with either turmeric milk or paste; no need to take both. Hope this helps. Please consult your doctor before taking supplements. Really excited to add some of this powerful info to my new 6 step course on heart health. Thanks for sharing. Theirs so much great info out there! Im putting all the powerful info together on heart health, come check it out, it shows all my research on the old and new ways to heart health. Including nrf2 technology, grounding, reflexology and more! All the best. Will turmeric cure herpes? How to take its dosage? I take my blood pressure meds in the morning and take curcumin before bed. Is it alright to use the herb this way? will the curcumin interfere with the meds even if separated by many hours? Hi. A gap of 3-4 hours is recommended which you are following; so there should not be a chance of drug interaction. You can confirm this with an herbalist or other health practitioner as well. – and finally add one tea spoon of turmeric . Drink it before going to bed i.e on an empty stock. The benefit I found are the fallowing. – You will notice after a week your face skin is brighter, cleaner and less fat on the service and all over your body. I hope my experience dose help some of you. Hi Hazim. Thank you for your feedback. 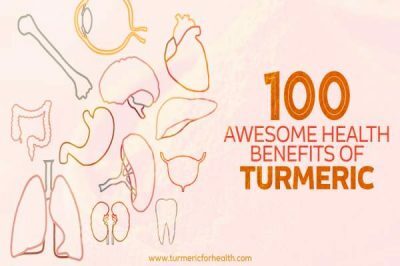 Glad to hear that turmeric is benefiting your health! Turmeric is poorly soluble in water so it is preferable to take it with black pepper and/or fats. 1 slight change you could make to your recipe is add milk to instead of the powder so that dairy fat can help in absorption. Thanks for the information about turmeric, I have started using it and the obvious effect I have seen is that of bowel movement. Sure I will continue because I believe what has been said about it. Its great getting to learn about tumeric and its benefits. I started my family on it and experiencing great positive effects. 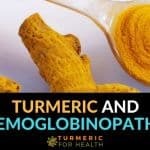 In taking tumeric to control HBP, can one continue using the orthodox drugs as well; or to discontinue it? Can someone help out here? Thanks. I have had three diagnoses of primary cancer over the last 30 years. After the last diagnosis (2010), I read Anti-Cancer by Dr David Servan-Schreiber, who had done some of the research on tumeric. 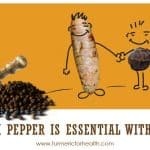 He recommended 1/4 teaspoons daily, with a sprinkling of black pepper, which helps its digestion. The statistics for my last cancer type, for people who had the same treatment as me, show that 8% are still alive after five years. I am now over six years clear, feel healthy, and enjoying life. Yeah turmeric!!! It depends on your health condition as to whether you could discontinue other medications. Some individuals do discontinue conventional medications like painkillers, stomach acid reducing drugs etc. when they experience 80% or more relief. However it is advisable to discuss with your doctor before weaning off the medications. 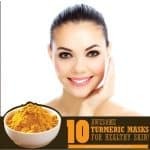 Loving finding out all about turmeric and am going to start using it – but please could someone tell me if it is safe to take turmeric alongside CoEnzyme Q10 as I believe this also has a blood thinning affect and I don’t know if the two together would be dangerous? Many thanks for any advise. Yes. Turmeric, God meds, natural food, can be taken with anything, except a blood thinner. So can DMSO. Both do the same and can be taken orally. DMSO can enter into the body, brain too, through the skin [taste it in 4-5 seconds] or orally. I mix and use them together with DMSO being the carrier. In a few minutes the turmeric is spread thru every membrane in the body. Both excel as cancer, brain and most other disease and illness meds. Both are good for heart attack and stroke victims. Remove the inflammation and remove pain, illness and disease. As you can see, there is nothing complicated with god’s medicine compared to the life killing, non-curing chemicals Dr gives you. Do yourself, family, a favor. Research the Turmeric and DMSO. You can’t O=D on God’s meds. Yes turmeric aids in lowering blood pressure in hypertension. Thanks Anwaar. Do subscribe to our newsletter to email updated. ive just recently discovered tumeric thru reading articles i swear by its medicinal properites esp for pain my husband has a lot of shoulder pain we drink turmeric tea on a daily basis and hes noticed hes in much less pain everyday… i make ginger tea then i add honey and sprinkle in a bit of turmeric and it awesome i also add turmeric to my scrambled eggs with a little bit of black pepper i also add it in rice too and soups. Hi Tammy, Thanks for writing. Its good that you are including it in your diet and not as a supplement. Tammy you have found the secret. This is a miracle herb…I have been suffering from Crohn’s and sometimes go through intense pain and have taken steroids and pain killers over the years with many side effects. I was resigned to the fact that I have to live with the pain, until a friend of mine told me about turmeric. I did not have much faith in natural supplements but wanted to give it a try. 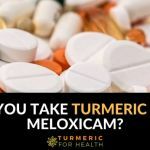 I got a turmeric supplement from a vitamin shop and took about 1000mg on the first day and increased to 2000 on the 3rd day…I noticed some relief and knew I was onto something. So I started online research and discovered turmeric is a diluted version of curcumin. I purchased curcumin online and discovered some more relief in pain…maybe 40% less than before. Curcumin has a very low absorption rate and found enteric coated curcumin with Bioperine from physician naturals which was supposed to increase absorption significantly. I started taking about 3 tabs daily (2500 mgs) and increase to 4 whenever pain shot up. That was 14 months back, my crohn’s now is in full control and feel healthier than before. I have suggested curcumin to so many of my friends and many of them swear by it. Walter, many thanks for sharing your experience in such detail. If it is fine can I add this to a testimonial section I plan to start on the portal ? Thank you, Keshav. I am a Floridian who has been eating turmeric-based curries since about 1992, but moreso since about 1998. I make my own. It is not difficult, and I find that curried lentils are maybe the best food combination for the typical American, though curried meats are good as well. My basic recipe is turmeric, onion powder, garlic powder, coriander, hot pepper, ginger, cinnamon, allspice, nutmeg, and sometimes black pepper. I also try to use all organic ingredients. Hey Solemn, great to know about your turmeric love! If you have any specific turmeric based recopies please share, will be happy to post it on website with due credit. You can email the recipe to me through email. Cheers!